This Multi-level Governance Series study focuses on Ukraine’s advances in regional development, territorial reform and decentralisation since 2014. The Government launched a reform to merge local governments and strengthen the decentralisation process, giving additional power and resources to sub-national authorities. In a short period, successful steps have been taken toward achieving municipal mergers and greater fiscal, administrative and political decentralisation, complemented by the State Strategy for Regional Development 2015-2020. The first local elections have been held and more public services are being delivered by certain local authorities. Yet, important challenges remain, ranging from a need to address rising disparities and adjusting multi-level governance practices and territorial structures, to better structuring fiscal decentralisation. This report addresses regional performance and disparities in Ukraine, provides insight into Ukraine’s current territorial reform and approach to decentralisation, explores the impact of fiscal decentralisation measures, and includes a case study of the transport sector. It also provides a set of recommendations for action to support Ukraine in meeting the conditions for successful decentralisation. 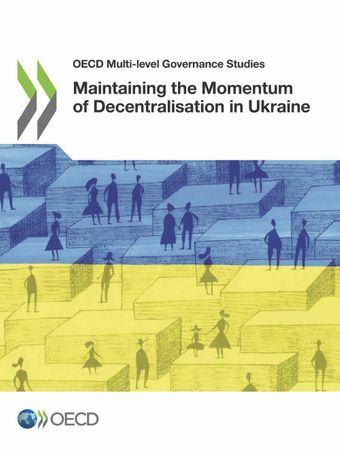 The OECD Multi-Level Governance Study Maintaining the Momentum of Decentralisation in Ukraine was launched in Kyiv on 15 June, 2018. Ukraine’s Deputy Prime Minister Hennadiy Zubko, OECD Deputy Secretary General Mari Kiviniemi, Ambassador Jan Piekło of the Republic of Poland and Berend de Groot, Head of Cooperation, EU Delegation to Ukraine welcomed participants. During his opening remarks, Deputy Prime Minister Zubko announced the intent to adhere to the OECD Recommendation on Effective Public Investment across Levels of Government.